For the first time in Forever, I have finally found that show that once was Castle. 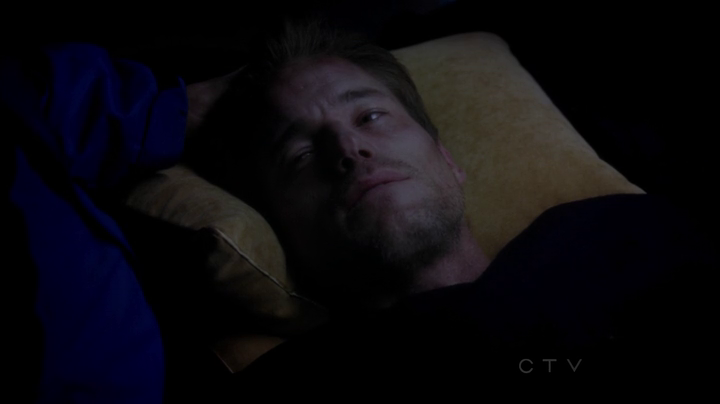 That once was The Mentalist. That once was Bones. That once was Chuck. That once was (until the end) Psych. I have to admit, I am guilty of being encapsulated by the whole will they/won’t they TV pairings. But – for the longest time, I’ve been aching to find a show with a pair that has chemistry and the same dynamics as the shows I’ve mentioned above. I’ve resorted to Googling these kinds of pairs in current TV shows but have been disappointed with all those I have found. 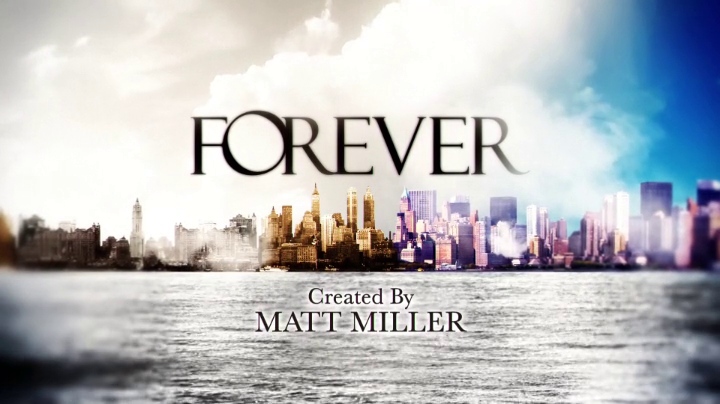 Thankfully though I found a new show, Forever. It’s all there. All the elements I’ve been aching to see once again on TV but the best part is that this isn’t even the best part of the show. Let me delve further into what the elements I so love about it. First and foremost, Forever is one of those criminal shows with an overarching story but with episodic cases to sustain it. 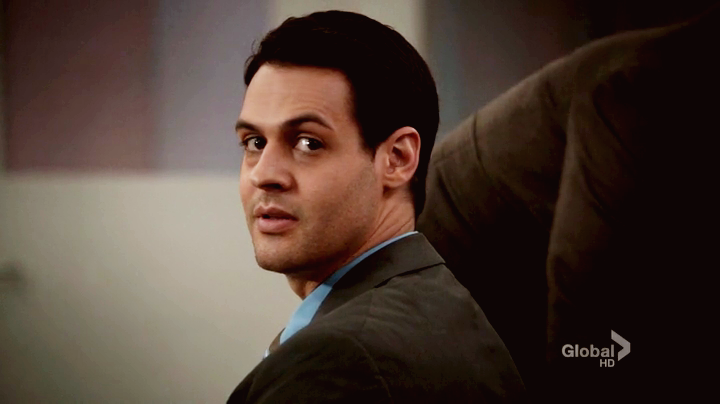 It centers around this Medical Examiner, Dr Henry Morgan, an immortal man who has seen and lived it all. Of course, yes he becomes a consultant due to his amazing gift of knowledge, solving murders and whatnot. See, I think this gives the show creators so much room to explore should they utilize this premise fully. So much historical bases to cover and so much scientific as well. Whatever direction they take, whether it’s one, the other, or both, they just have so much opportunity to play around! Great work in concept, I think. Apart from the overall premise of the show, they’ve put together a cast that they too have given a good history to play around with. There’s Dr Henry Morgan, 200 year-old immortal. Oh come on. That’s 200 years of stories they can explore. Then there’s Abe, played by Judd Hirsh (aka Wes Mendell of Studio 60). His dynamic with the main man Henry is interesting too – being Henry’s adopted son and all. As an individual, there’s so much they can do with him as well. A survivor of the Holocaust, Abe is one of those lovable grandfathers we all probably have. Detective Jo Martinez is one character who also has quite a lot to contribute. As of now, she’s seemingly insignificant but you can tell hers and Henry’s relationship slowly growing – may it be romantic or friendly, they have a chemistry that works very well on the show. I can see it. Her microacting is there the same kind Sarah from Chuck was. My most favorite part of this show is definitely the ability to play around with different times and go back in history – may it be the fictional history or something based on actual events. The 4th episode so far reflects this interesting side of the show. This reminds me of one more crucial character I missed. Abigail. Dr Henry’s wife. They don’t give away too much too soon but the writers give you little glimpses here and there about this part of Henry’s life and it’s adorable. I don’t want to give much more about it but my God am I happy I found it. PS. It’s no surprise the names of the writers/creators/producers are familiar. Chris Fedak, a Chuck writer is on this and this gives me even more confidence about the show. It’s been a while since I was on here. Real life has come in and I no longer have the time to watch as many shows as I used to and as I wish I did. Having been following more that 20 shows a week before, I could not keep up with all of them since my time abroad in which I had less time to be on schedule with my shows. After my time abroad, I had to go straight in to the working life even further taking a toll on my TV-watching marathons. All this in mind, I’m slowly adjusting to these necessary life schedules and have more of a discipline when it comes to TV-LIFE-WORK balance. Although I no longer could keep up with some of the shows I once watched and enjoyed, I’ve kept those that I feel cannot be let go. This new show season has also been a good one, I think and have slowly started to accommodate new ones. So – here is where I stand now with the shows I have kept (and have not ended) and the new shows I’ve just discovered. It is 5 am and I may have missed a few but off the top of my head, these are the shows I am still and will be in touch with. I am honestly looking forward to my rediscovery of love for television hence the revisit of this blog. One day, someone will read. I’m a little late to the party and was considering not posting about SNL anymore but I can’t help it. I am big Kristen Wiig fan and as much as I would love for her to do her own thing, it’s just sad that I won’t be seeing Dooneese (Lawrence Welk show), Kat (Garth and Kat), Target Lady, Judy Grimes and that lady on the Secret Word game. The finale was generally alright, I don’t remember much since the whole send-off to Kristen Wiig out shined everything else. So if you’re reading to hear about SNL and any rants or praise I have for it (I have a few), I won’t be doing that now. I just have to dedicate a whole post to how great of a part of SNL I think Kristen Wiig is was. I know she has quite a few haters and I’ve read a lot about how her characters are annoying. I couldn’t agree more. But – that’s what I love most about them. It’s how “annoying” they are but not to the point of wanting to change the channel (for me anyway) but it just keeps me even more entertained. But – it’s not all that way with Wiig. She has a number of stand out non-recurring characters. I can’t forget her Lana Del Ray. I don’t know who gets the credit for that (I don’t know who wrote those brilliant lines and quips) but she delivered the hell out of them. And – if she wrote them as well, then I bow down to her. What I probably love most about Wiig is how she’s just all over the place (in a good way) on the stage but then off it, she seems quite shy and humble. The funny is there no matter what but it astounds me how everything is turned around once she’s acting. I think that shows how truly one must give her props for her work and being who she is. With that, I just know she’s going big. Although I am sad to see her characters go (maybe not completely – I’m sure SNL will bring them back once in a while the way they do with Fey and Poehler), I am looking forward to what Kristen Wiig stirs up next.